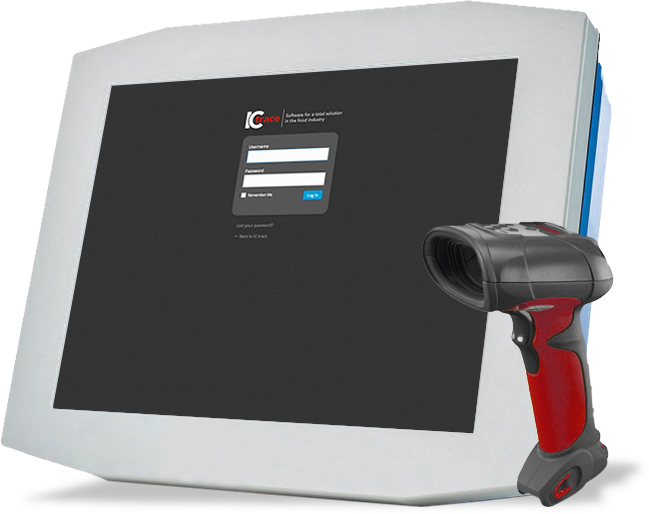 IC-Trace is developed as a total solution that can cover all your needs through a very modern and stable application. It supports and automates all administrative and workfloor procedure of companies active in the food industry. 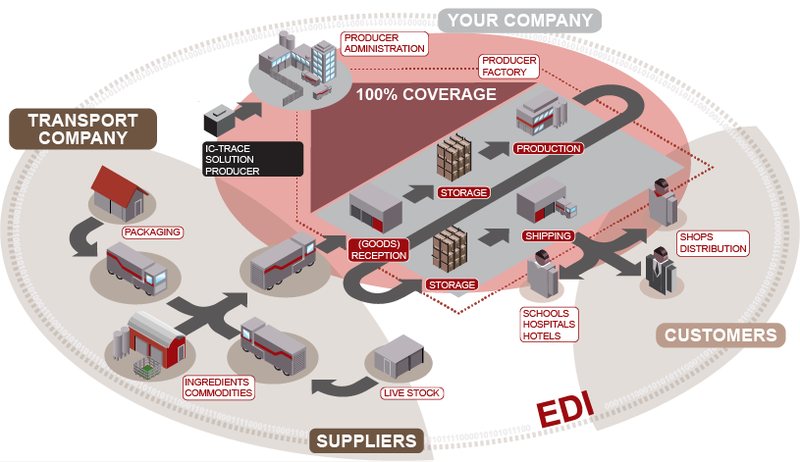 With IC-Trace you can track and control the entire supply / production / distribution process. IC-Trace is the result of over twenty years of experience in logistics automation of food producing companies. Food IT – Solutions is a software company that specializes in automation of administrative, logistical and production related company processes. Our primary focus is on production and distribution companies, active in food industries. A strong emphasis lies on traceability and integration with work floor processes. Food IT-Solutions is an important player in this field, in Belgium and abroad. We developed a state-of-the-art application that is suitable for various types of companies operating in the B2B food industry. Our aim is to offer a comprehensive and integrated total solution to our clients. Because our solution is stable and features many possibilities, time is left to meet specific needs of our users and customers. Our solution was conceptually and in all regards conceived towards international applicability. It features unlimited possibilities regarding languages, measurement units, various equipments, configurations, layouts, integrated communication, etc. For deployment outside our home market, we cooperate with carefully chosen partners but mainly we work with our own people. This way, we can implement country-specific functionalities where necessary, in accordance with local regulations and laws. Our website features auto language detection. If your language as not automatically selected, please choose your preferred language. If you stumble upon incorrect translations, please contact us.